The Lake Flour Mill stands tall, reaching the tops of the telephone wires. Its original coat of white paint is worn, fading into the splintery boards. Pigeons fly to a hole in the roof, away, and back again. A metal panel screeches as it flaps in the wind. On the weather-beaten side, the company’s name can still be made out. Its newer incarnation, Westland Seed, stands a few hundred feet behind it, a squat, white paneled building. In Ronan, Mont., the contrast between past and present is distinct. Aipperspach, whose first name is stitched in cursive letters on his blue-striped work shirt, also owns Arnie’s Car & Tire. He sits on the edge of his chair and leans forward as he talks about his community. Ronan, he says, is a place for the average working Joe. It’s a small town, where just a hair under 2,000 people live. It once centered around farming and ranching, but even though it’s statistically still the heart of Patchwork Nation’s “Tractor Country,” its focal point is shifting. Dark clouds hide the peaks of the Mission Mountains. Below them, Ronan’s two busy streets intersect at a T.
They’re both main streets, one of them because that’s its name and the other, Highway 93, because that’s where the traffic is. They used to be one and the same until the highway was relocated, demoting Main Street into a limb of the central thoroughfare. Now, many businesses have migrated to the busier highway, leaving empty buildings behind. It worries some people who don’t want to see the original Main Street fade. But Aipperspach says the street hasn’t disappeared, it’s just accommodated change and moved to where the people are. 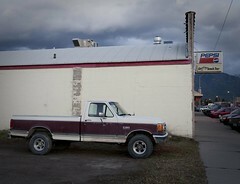 Around Ronan, people shake their heads about the lumber mill that closed last summer, eliminating some 100 jobs. 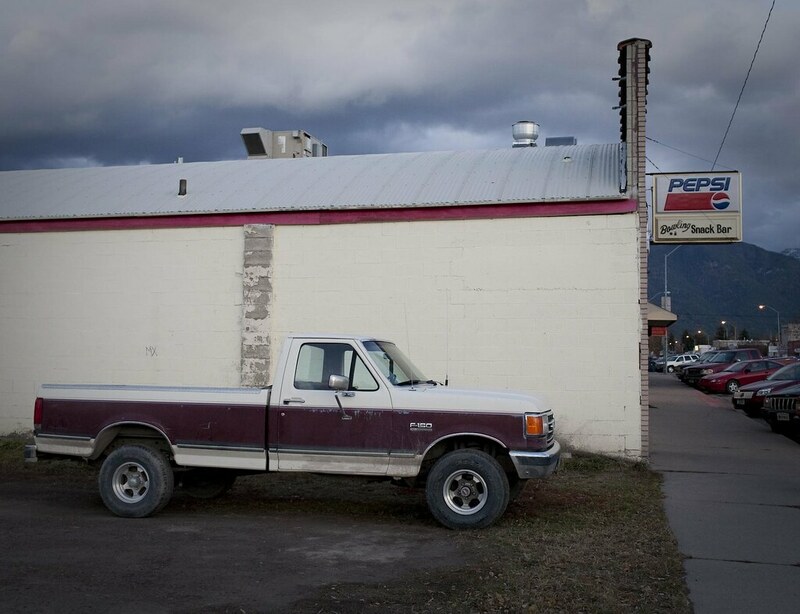 They talk about the Wal-Mart 20 miles up the road and what it’s done to the local economy. They speculate about the town’s newly remodeled hospital and how it will impact their hometown. At the end of Main Street, the St. Luke Community Hospital is different from every other building in Ronan. It’s new, it’s modern, and to the people who live here, it’s colossal. It’s the largest private employer in Lake County, Aipperspach says, and the biggest hospital in the valley. Janssen, whose friends describe him as “Mr. Ronan,” is an active member of the community. Among other duties, he serves on the hospital’s board of directors and coaches the high school’s junior varsity basketball team. Janssen grew up in Ronan, and remembers seeing more farms and ranches as a kid. He remembers dozens of kids in high school joining the Future Farmers of America club, and now the program struggles to maintain four or five members. Ronan is at the heart of the Flathead Indian Reservation, where the Kottenai tribe know it as Spring Waters. Janssen, a member of the Confederated Salish and Kootenai Tribes, says that the white and Indian people who live here are now learning to tolerate each other. His community has a history of racial tension, but time is beginning to change that, he says. Inside the café, most people know each other by their first names. Customers look toward the door as people walk in, waving to those they know. Ronan is that kind of place. 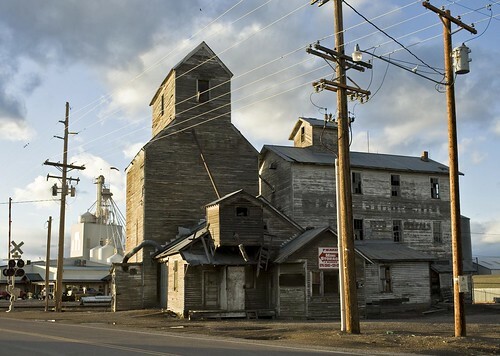 It’s small town, Montana, and it’s still taking shape.